How to Beat a DUI in Tennessee | Raybin & Weissman, P.C. Driving while under the influence can have disastrous consequences. Not only could you be facing a license suspension, jail time, community service, probation, and the installation of an ignition interlock device, but, more importantly, you could also kill anyone your vehicle comes into contact with, including yourself. But when you’re charged with driving under the influence, often referred to as a DUI, you have the right to defend yourself. This is important because the ramifications of such a conviction can dramatically influence your life. Below, we discuss various defenses your defense attorney might use to help you beat a DUI conviction in Tennessee. The most common defense for a DUI is that you should have never been pulled over in the first place. If law enforcement had no reasonable reason to believe that you were drunk driving, or had no other probable cause to arrest you, then there is a strong possibility that your charges could be dismissed. However, if you were pulled over for speeding, for example, and the police officer noticed signs that indicated you were intoxicated, then they would have probable cause to arrest you for a DUI. Another way you can beat your Tennessee DUI charges is to question the validity of any testing done. Your blood alcohol levels can be tested in a couple of different ways, and any number of factors can influence the results. It’s possible that the breathalyzer or chemical testing done wasn’t administered accurately, or that your results were inconclusive. In any case, it is not uncommon for the validity of blood alcohol testing to be brought up as a defense in a DUI case, but your lawyer will only choose this option if it will yield the most favorable outcome in your drunk driving case. 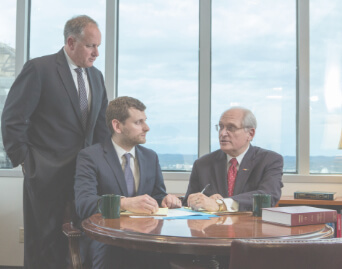 If you need help avoiding a DUI conviction, get in touch with a Tennessee DUI lawyer at Raybin & Weissman, P.C. today. You can call our firm at 615-256-6666 or complete the quick contact form below to schedule your free case assessment as soon as possible.